…a comprehensive selection of our delicious chocolate truffles. Alcohol, praline and a few luxurious cream truffles to name but a few. 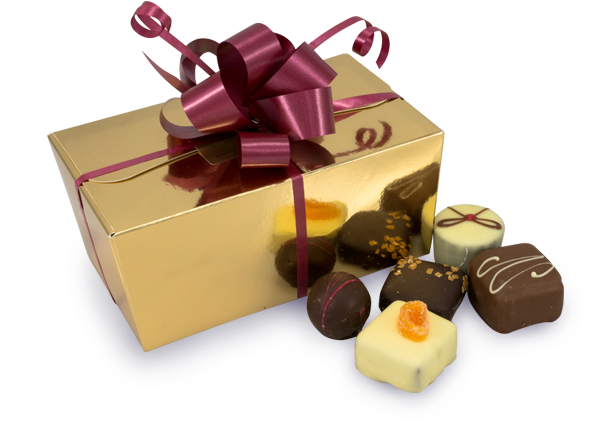 Each chocolate box is trimmed with ribbons creating a delightful individual gold chocolate gift box. Uniquely presented, altogether a great gift for someone truly special – after all, they deserve to be given a special treat. Say “Happy Birthday”, “Happy Anniversary”, “Congratulations”, “Thankyou” or simply “I love you” with chocolates.